​How To Book A Memorable Stag Night Limo Hire Sheffield Experience in Just 3 minutes. Come on now lads, why not go upmarket on your best friends Stag Day & Night that will go down as legendary. And yes if you’re the Best Man (I have been three times now), all eyes are on you. With Sheffield Limos, we have your back covered. You book it, split the cost between the lads, job done, the beers are waiting chilling in the Limo fridge and the Martini is waiting to be shaken, not stirred. You want a day and night with various entertainment levels. The difference that you’re looking for is Class and that’s just what the Sheffield Limousine Service can provide for you and up to fifteen guests on a Stag Do Hummer Hire Sheffield to remember! 1. Stag Day to remember. Not a miss-spelling. 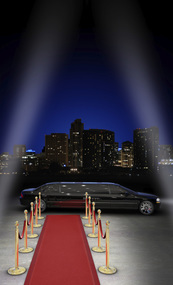 At Sheffield Limos as well as our local knowledge of the area, we also have knowledge of the current trends. Some of the new favourite daytime events are a round of Golf at either Abbeydale, Birleywood or Beachief Golf courses, which along with an arrival and departure in one of our limos will have the Upper Class missing their shots. (If you’re upper class, by the way, you’ll just look normal). Another favourite if you have a few non-golfers is paint-balling, but please no shooting at the Limo. Another choice is a Recording Studio Session at Big Dog Studios, where you can get into the Boy Band vibe and record your very own tune. The Limo arrival and departure at the studios again is a must to make the occasion the one that’s super impressive! 2. Alternative Daytime activities. The Magna Centre has a Dry Ski Slope and converted steel works that house a bungee jump, zip wires and even a reverse parachute jump for the adrenaline junkies. 3. Stag Night. When you further hire us again for the night time element (discount can be arranged for double trips of course) after giving us any special instructions as in where to tie the Stag at the end of the night, you can leave the night to us. We have local connections to ensure that you’re not only given a five star service inside the limousine but also on scheduled stops throughout the night where you’ll be looked after like A-Listers from your flash arrival until your farewell departure. For later on in the night you have a choice of Soyo, Frog & Parrot and Jacossa, and for clubs either the Spearmint Rhino or the Players Bar Nightclub . 4. The Full Monty. How can forget the Full Monty? That film was responsible for a whole load of office workers pulling out ‘hilarious’ strip routines at Christmas parties in Sheffield for the next five years. Well, here where it was set in the steel city is still a great place for a stag do. Transformed since the 1990s film was produced, the West Street and the Division Street area of the city are packed full of trendy bars that are worth a visit. If you want to lay a challenge down for the groom get him a ‘Roger and Out’ beer at the Frog and Parrot. They’ll only serve it in halves it’s so strong. 5. No Queues. Our chauffeurs take care of the priority passes, so you have no queuing in the cold. All venues are pre-booked so you and your guests can step out of our Limo, walk past the line and into the venue. This will also ensure that you don’t lose any stragglers’. 6. Flexibility. The Limo is yours for the night, so if you prefer to cruise the City all night listening to your favourite tunes or use it to transport you in between venues, then your wish is our command. 7. Stag Night Hummer Hire Sheffield. If you have a larger party size, then we have the answer in a fully licenced H2 Hummer that takes up to sixteen, which allows you to party the night away in your very own mobile nightclub. You control the music on the very latest sound systems, along with music videos that are also screened throughout the evening if you wish. Throw open the windows and let your tunes float out into the City air! ‘No Hassle Guaranteed’ FREE quote (We Promise). Sheffield Limo Service prides itself in offering the best Stag Do Limo Hire Sheffield prices. Or call today on 0114 303 1540 and ask for any special offers that we might be running.